Peaceable tries to work quietly, behind the scenes. I avoid media attention whenever I can, because that’s not what we’re really about – but I know how powerful a well-placed story can be in getting things moving. Our first Project for 2019, the Tabara Beds initiative, hit the local newspaper this morning in Zamora, because Jose Almeida does not share my reticence! You the donors to PPI funded this – I handed over 2,000 euros in crisp bills to Jose a week ago, and he phoned up the bunkbed builders right then and there. So here you go, in black and white! The weather is cooling, but things are warming up at Peaceable Kingdom in Spain. The pellet stoves are being installed next week at Monasterio Santa Cruz in Sahagun. Your on-the-spot generosity has the Marist Fathers' project a full six months ahead of schedule, and will endow the Benedictine monastery with a notable infrastructure upgrade. Up next: Portugal! 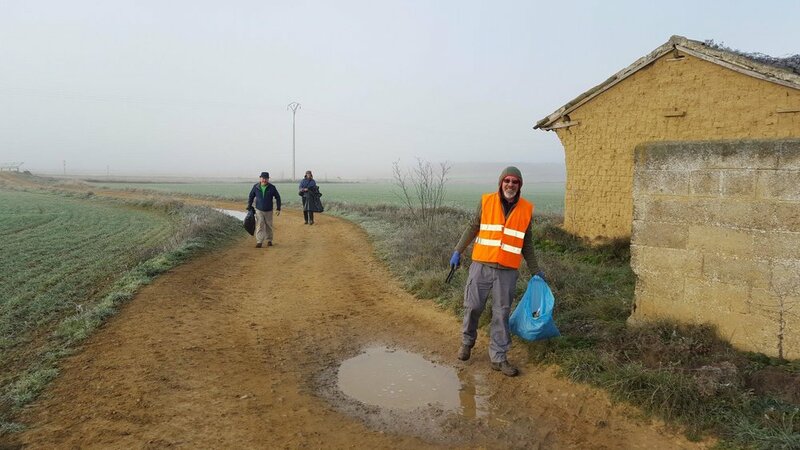 I am traveling to Albergheria a Velha next weekend to give a talk about Camino Hospitality, and while there I hope to sell the Portuguese on Ditch-Pig style cleanup operations! 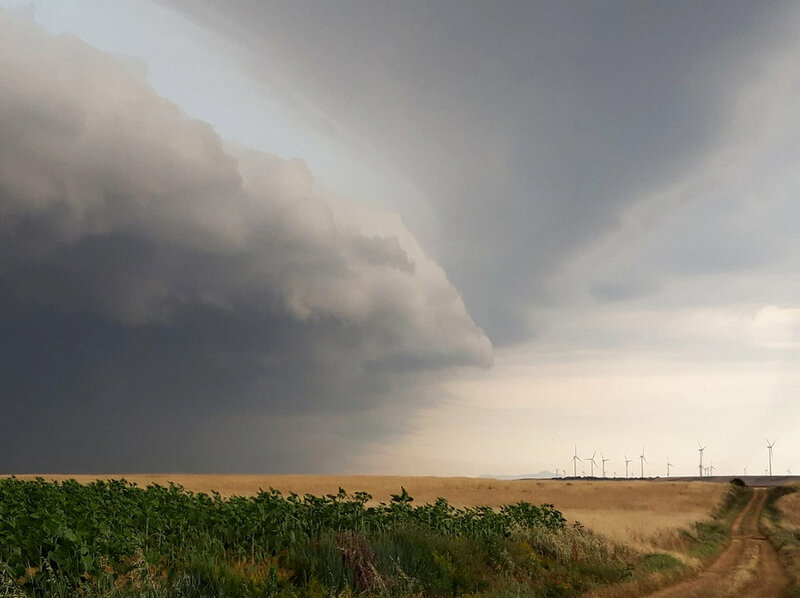 The Camino Portguese is experiencing a great boom just now, and the people "on the ground" are a bit overwhelmed by it all... no one has ever done a comprehensive cleanup on this camino. So on Nov. 25, Ditch Pig volunteers will gather in Oporto and set off on the trash trail, armed with shovels and bags and a map of the "black spots" between that city and the Spanish border. We'll clear up the worst of it, and if time allows we'll double back and sweep south to clean up the space between. I hope to have some local volunteers join us! Meanwhile, just outside Astorga, PPI has installed two new memorial stones at the Pilgrim Memorial Grove. We're shifting all but the Denise Theim stone to a vertical placement along a wall in the park, so maintenance workers can better care for the trees. (our concrete placements were damaging their roots!) Sometime in late August or September, another stone appeared in the park, memorializing a Greek-American pilgrim who cleared up trash along The Way. We do not know who put the stone there, and we don't know if the pilgrim died on the Camino, but we're mounting the stone on the wall alongside the others. We obviously need to mark the site and better explain how it functions... a project for 2019? Thanks to all of you, it's working! The novice wing at Holy Cross Benedictine monastery in Sahagun is an albergue these days... help us warm the place this winter with two new pellet stoves! The Benedictine Monastery in Sahagun has been sheltering Santiago pilgrims for a thousand years. In 2017, Marist Fathers stepped in to take on the hosting duties, offering a traditional communal dinner, pilgrim Mass, and low-cost shelter for any pilgrim in need. But centuries-old convents are not noted for coziness. In winter, even indoors, you often can see your breath hanging in the air. Not a lot of pilgrims pass by this way in the dead of winter, and the ones who do are usually chilled to the bone on arrival. The welcome is very warm, the food is hot, the pilgrim blessings rich and fine. But the ceilings are high, the walls are stony. It’s cold in there. The three missionary priests took over this place last March, and switched on the old gas boiler soon as they moved in. The heating bill for two weeks came to 1,000 Euro! Father Daniel Fernandez, the priest who heads up this initiative, is an old friend of Peaceable. He served in Carrion de los Condes and Terradillos as part of the Camino Chaplaincy program, and has walked the Camino de Santiago himself. Sahagun has for years been a less-than spiritual stopping place for pilgrims, and when Daniel saw the opening, the Marists joined with the Madres Benedictinas in Sahagun to fill the gap. 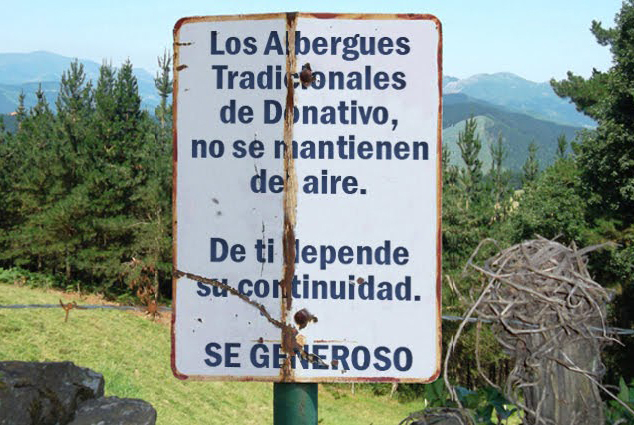 We support their efforts, and always recommend Albergue Santa Cruz to pilgrims who plan to stop in Sahagun. Peaceable Projects helps to fund just this kind of pilgrim-centered non-profit infrastructure improvement… and Peaceable Projects is YOU. The fathers need 2,000 euro to buy the stoves, and at least that much more for the chimneys, installation, and enough pellets to last November through March. Peaceable has already committed 1,000 euro to this project, and we’d like to at least pay for the stoves… So if you are looking for a way to support the pilgrim path, to “give back” via a certified non-profit, make your donation now via Peaceable Projects Inc. Your donation is tax-deductible in some parts of the world. If you live in Europe and would like to make a Euro donation direct to the Marist Fathers, please send a note and I will forward bank deposit information. I like busting the sod and building the first cabin in town, but I´m not a settler. Once things get up and running, I tend to lose interest. I find some able hands to keep it going, then I move on to something new. Or I find some way to renew the old thing. The Ditch Pigs Camino Cleanup, for instance. This year, if I can raise enough volunteers, I hope to take the Pig Wagon on the road, to clean up a rather considerable mess over west of here. I´m talking a guy named Ze, founder of the Portuguese camino association, (a pioneer), about identifying the worst of the “black spots” along the newly booming Camino Portuguese Interior, rounding up some Portuguese volunteers, and getting Peaceable´s crack team of litter-pickers over there for our usual five days of labor in late November. I am told there´s some hair-raising trash to be cleared! Yippee! Meantime, in October, I´m invited to speak to the Portuguese Amigos national convention. I am not sure what I will say yet. I don´t know that much about pilgrimage in Portugal. I am about to learn. In other Peaceable news, we installed two more memorial plaques in the Pilgrim Memorial Grove in Ecce Homo Park, Valdeiglesias. 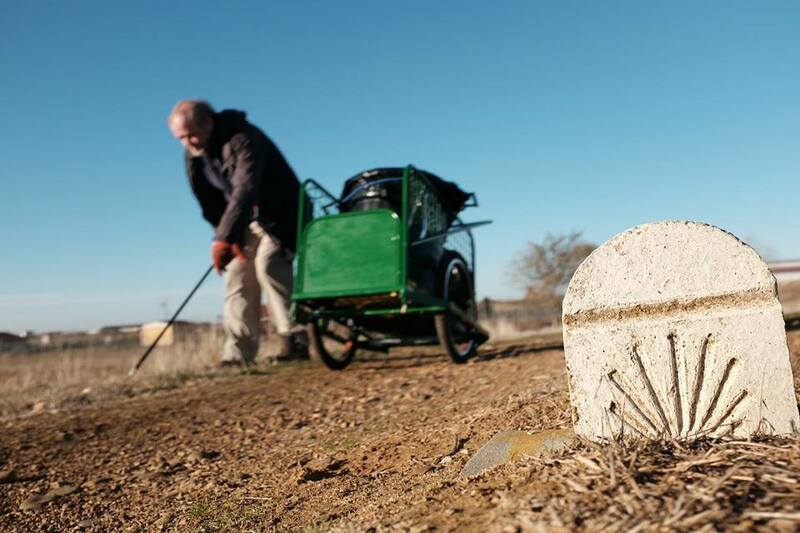 Lion Spijkers, a Dutch pilgrim who died last year in Ribadiso de Baixo, and Charles Merrifield, a Californian who died in 2008 in Villafranca Montes de Oca, now have their memories carved in stone along the Way. We are slowly shifting the memorial stones to a vertical position, as the parks department in Astorga has changed its mind about planting and maintaining our trees! The Denise Theim memorial, however will remain as-is, with its trademark red maple in a central position. 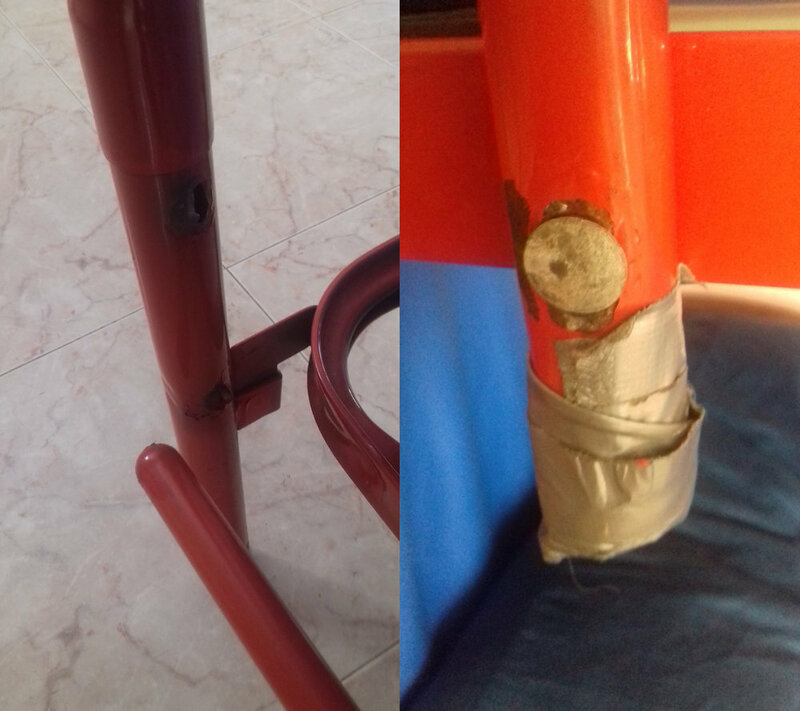 Work is in progress to replace the last of the lumpy mattresses at Albergue Monasterio Santa Cruz in Sahagun. 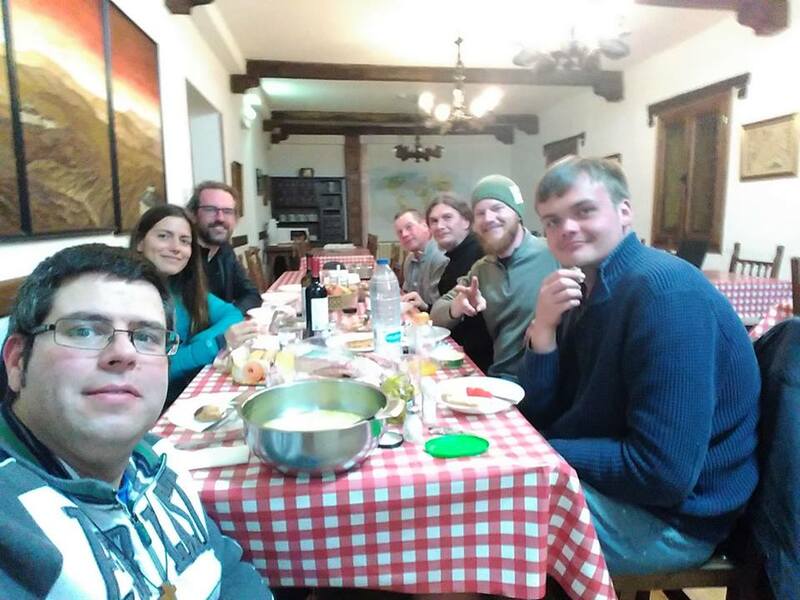 The Marist Brothers who took over running the place this year are fighting hard to get the word out about their unique offerings – they missed the deadlines last year and were not listed in pilgrim guides, and this year´s big dip in pilgrim numbers on the Camino Frances didn´t help much. Still, their project is in The Big Hands. Like Kim´s new enterprise! 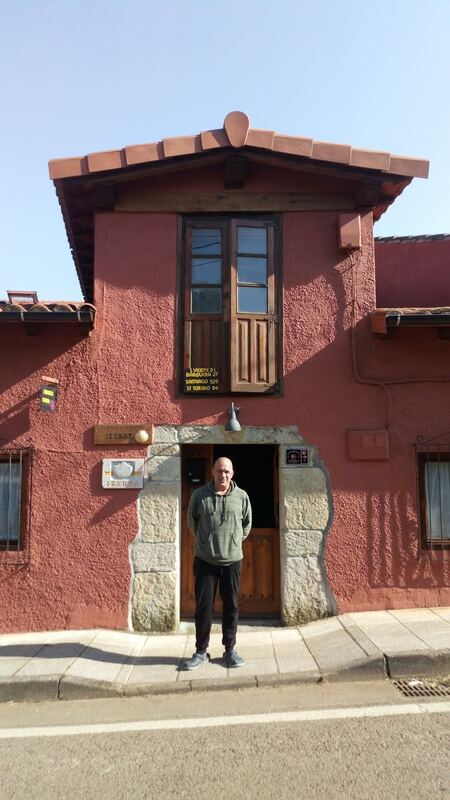 Longtime Peaceable supporter Kim Narenkevicius has opened the doors at last at The Stone Boat, a snug and soulful new bed and breakfast in Rabanal del Camino! She is all over the web, and we are working the networks to let everyone know… including you! I have been a bit distracted this summer with finishing two book projects, and dealing with a family crisis down in Malaga province, an 8-hour drive south of here. But the ancient rhythm rolls on here on the Meseta. Summer went fat and green, then burst open, then turned brown. The rye and barley are cut, the straw baled and stacked into great architectural wonders in the fields, casting black geometric shadows afore and behind as the bright day moves on. The Semana Cultural and town fiesta were big successes this year, big crowds and plenty to do, no fireworks, and no fights that I´ve heard about. Marivalle, the newest Moratinos resident, stepped up into the leadership role in the Cultural Association and did us all proud. I was a founder of the group, lo those four years ago, and I am Vice President now. I get to throw up lots of ideas, and everyone else can execute them. Or not! Do let me know if you´d like to be a Portuguese Pig. Or if you´d like to fund one!